Oil prices fell on Monday but regained ground on Tuesday. 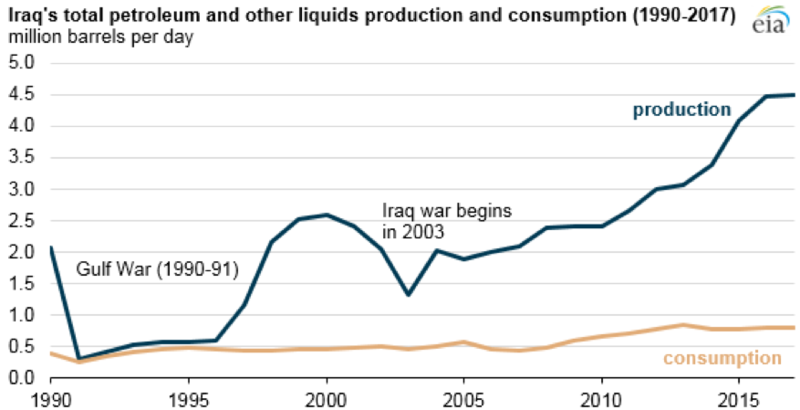 - Iraq’s oil production topped 4.6 million barrels per day (mb/d) in late 2018, roughly double production levels from a decade earlier. - Iraq is the second largest oil producer in OPEC, and holds the world’s fifth-largest oil reserves, according to the EIA. - About 90 percent of Iraq’s oil production comes from the massive oil fields in the south near Basra and the Persian Gulf. The remaining 10 percent comes from the oil fields in the north, some of which are in disputed territory, but most of which are run by the semi-autonomous region of Kurdistan. • A Colorado Supreme Court ruling overturned a lower state court ruling that ordered state regulators to prioritize public health and environmental impacts when licensing oil and gas drilling. The state Supreme Court ruling is a win for the industry. • A large crude distillation unit at ExxonMobil (NYSE: XOM)’s Baytown refinery has shut down for maintenance. The unit will see 280,000 bpd of refining capacity go offline for at least two months. • Chevron (NYSE: CVX) was downgraded by HSBC to Hold from Buy with a $122 price target, down from $136. Saudi Arabia: Russia’s cuts are slow. Saudi oil minister Khalid al-Falih told CNBC on Sunday that Russia’s oil production cuts are “slower than I’d like,” although he added that the OPEC+ coalition would succeed in balancing the oil market this year. “Russia has started, slower than I'd like, but they've started, and I am sure as they did as in 2017 they'll catch up and be a positive contributor to re-balancing the market,” al-Falih said. Al-Falih added that the OPEC+ cuts are on track to balance the market this year. Oman says cuts can sustain $60. Oman’s oil minister Mohammed Al Rumhi told Bloomberg that the OPEC+ deal would likely eliminate the oil market supply surplus this year. “I think 1.2 million [barrels per day] would go a long way” to eliminating the inventory glut. “The real test will come in the second quarter” when seasonal demand picks up, he said. He added that the OPEC+ cuts could likely sustain $60 per barrel. China’s slowdown sinks oil. Oil prices sank on Monday after gloomy trade data from China added further evidence of an economic slowdown. Both imports and exports in China fell in December. “This data drives home just how negative of an impact trade war is having on the Chinese and perhaps global economy,” Stephen Innes of futures brokerage Oanda said in a report. Haynesville shale to break new records. Natural gas production in the Haynesville shale in Louisiana could soon break new production records. 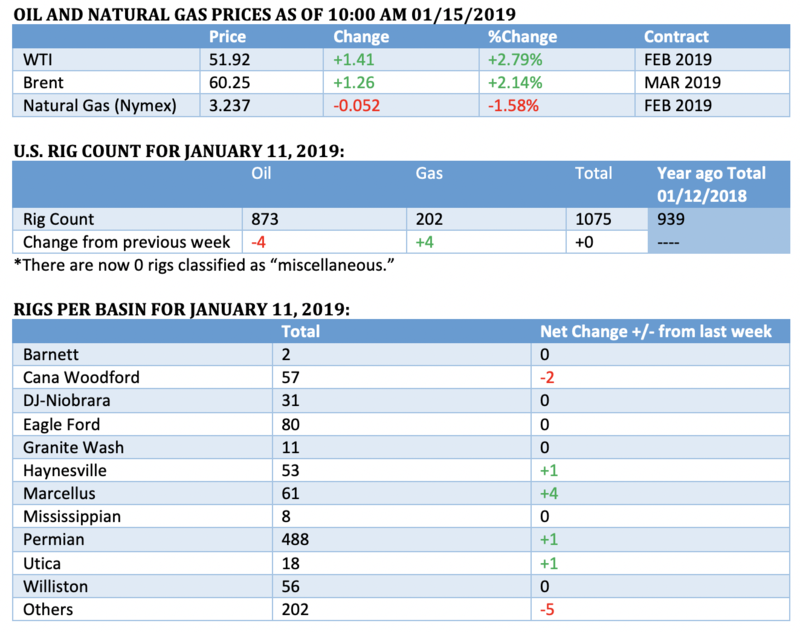 The Haynesville added 1.3 billion cubic feet per day (bcf/d) of output in 201, and could rise by an additional 0.7 bcf/d this year, according to Rystad Energy. The increases come after years of stagnation. “We conclude that Haynesville Shale’s revival, for the second year in a row, looks sustainable. Supported by its proximity to a new LNG export terminal, gas production will continue to grow, and achieving new all-time high gas production levels should happen within a matter of months,” Rystad Energy partner Artem Abramov said. Saudi Arabia plans $10 billion refinery in Pakistan. Saudi Arabia is planning to build a $10 billion oil refinery in Pakistan at the deepwater port of Gwadar. Saudi Arabia nearing U.S. LNG deal. Saudi Aramco is considering an investment in at least one of four different U.S. LNG projects and would announce a decision in the first half of this year, according to the Wall Street Journal. Aramco is considering equity stakes in the projects, all of which are located on the U.S. Gulf Coast. U.S. may not extend Iran waivers. Brian Hook, the U.S. State Department’s special representative for Iran, indicated in a Bloomberg interview that the American government would be much less accommodative with sanctions waivers when they expire in May. Hook said the U.S. had already successfully cut Iran’s oil exports from 2.7 mb/d to just 1 mb/d. “We are going to continue our path to get to zero [oil exports from Iran].” However, he hedged on when they might happen, stating that the effort to zero out Iran’s oil exports needs to be balanced against national security and economic interests. South Korea imports Iranian oil. South Korea began importing Iranian oil in January after previously cutting purchases to zero. The resumption in imports comes after Korea obtained a sanctions waiver from the Trump administration. U.S. issues sanctions warning on Nord Stream 2. The U.S. ambassador to Germany warned German companies that they could face sanctions if they moved forward with the Nord Stream 2 pipeline. Germany diplomats are reportedly displeased, suggesting the U.S. ambassador has been flouting diplomatic protocol. Corruption probes target oil trading firms. A series of separate corruption investigations have targeted a few of the world’s largest oil trading houses. Trafigura is under the microscope for alleged bribery cases in Brazil as part of the country’s sweeping Lava Jato investigation into Petrobras, Reuters reports. So too is Glencore (LON: GLEN), Vitol SA and Mercuria Energy Group. Meanwhile, the Wall Street Journal reports that Glencore, in a separate case, has provided loans to an Israeli businessman with known corrupt ties to the government of the Democratic Republic of Congo related to a copper project in the DRC. Saudi and Canadian cuts drain heavy oil supply. 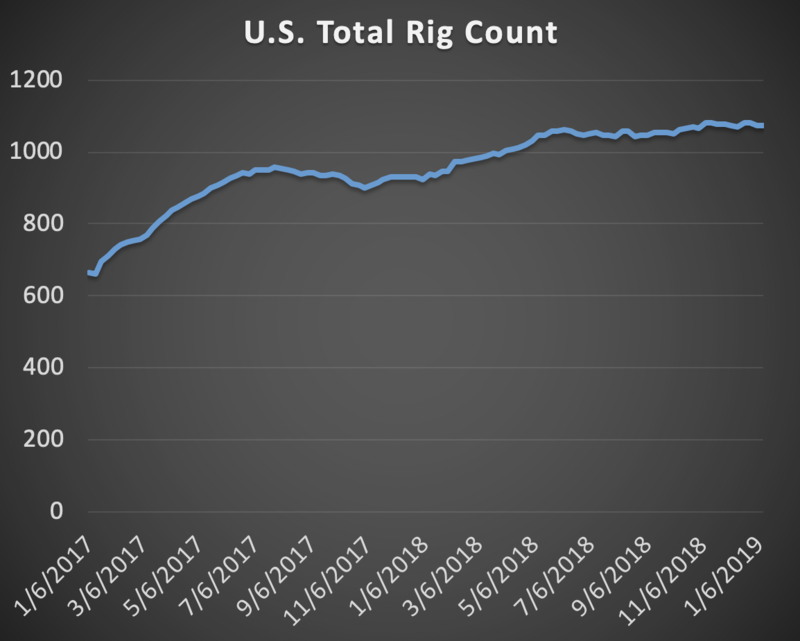 The production cuts from Saudi Arabia and Canada have reduced the volume of medium and heavier oil around the world, at a time when light oil supply from U.S. shale is surging. Venezuela’s heavy oil supply has also been plunging for more than a year. “The broad trend we are seeing is that it is a short market for heavy crude,” Kurt Barrow, vice president of the oil markets, midstream and downstream energy at IHS Markit, told Bloomberg. We are registered and certified loan lending company that provides the best solution to your financial problem, Do you need money for the project, business, taxes, bills, and many other reasons, our loans are simple and cheap, please contact us today. We can arrange any loan, which will correspond to your budget, as low as 3% interest rate, reply back now by email: michaelnordmannloanfirm@gmail.com for more details.